Hi, I’m Hannah and I’ve just joined the Gallomanor team. I’ll be helping to organise the ‘I’m a Scientist’ and ‘I’m an Engineer’ events, starting with those coming up very soon in March. I’m looking forward to being one of the live chat moderators to really see how it all works and what all the excitement’s about! 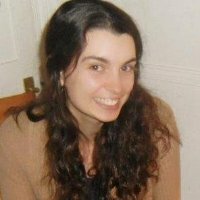 I graduated with a biology degree last year so I love learning about science and I’m keen to help connect students with scientists. My interest in science communication started with a module as part of my degree and I’m also particularly interested in science journalism following lots of work for Exeter Uni’s student paper. I recently completed a couple of internships with environmental organisations, so I’m pleased that we’re running an Environment Zone next month as that’s another of my interests.